The wide variety of flowers that this store carries ranges from fancy luxury blooms to cheap decoration fillers. 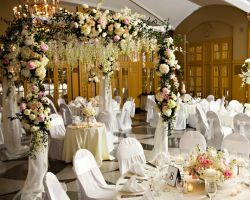 Everything has a place at your wedding day and a customized combination of all levels of quality flowers makes for the best floral arrangements. They like to provide a great deal of information to each of their clients so they can make informed decisions about their wedding flowers. Not only can you browse their advice articles, but also they will help you with any questions at your first consultation. 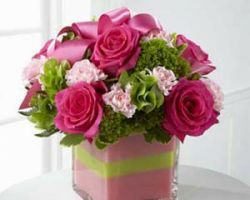 At Sidelines Custom Floral Designs, Inc. they are truly proud of their work and it shows in their arrangements. Not only do they love their work but they are honored to be a part of every wedding they have supplied flowers to. As with any small flower shops, Sidelines started designing on a simple scale but quickly their dreams caught up with them and their custom flower bouquets became extravagant and stunning. Over the years they have built up a reputation and received several awards for their work, so you can be assured of their quality. 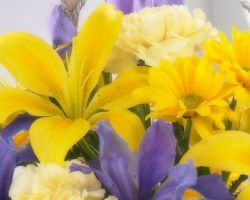 If you are searching for fresh flower arrangements and a company offering convenient flower delivery in Kansas City, then look no further than Dalton’s Flowers Inc. At this flower store they are genuinely excited to be part of your special day and invite you and your fiancé to their store for a consultation. They will help you to select the perfect flowers to create the atmosphere you would like and also order any exotic items such as Spanish flowers to add those finishing touches. Diana Ryan has had a love of flowers her whole life. She started designing her own bouquets around three decades ago and has honed her skills over this time to become the expert she is today. Her designs have been featured in many prestigious locations and at several special events. The reviews of Diana’s previous customers show how beautiful her work has been in weddings throughout Kansas. One final bonus is that she has worked as an event planner, so has a deep understanding of how all the details tie together. 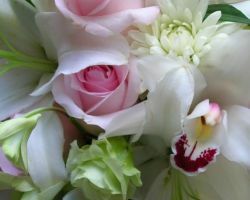 What more could a couple want from a Kansas City florist than extensive experience in the flower industry? Having opened in 1871 and being set-up in their current location for over one hundred years, Luther Florists & Greenhouses has always been the best place to search for flowers in Kansas City, KS. On top of their experience they only use the freshest flowers, supply all the accessories you could need and they guarantee you will be completely satisfied with the wedding flowers they deliver to you. Unlike many flower shops, Michael’s Heritage Florist does not attempt to convince you of their skills with words but rather with their flowers. 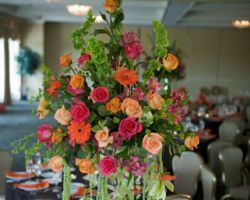 This company’s team of talented florists understands that every wedding has a story that goes with it. They believe that through flowers they can reflect anyone’s past and express the emotions of the day. With your consultation you will be able to work with your own personal designer to create your ideal arrangements. This level of dedication to their clients is why Michael’s Heritage Florist is the very best. 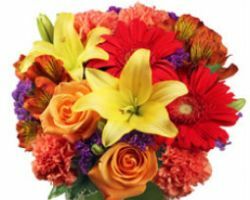 It is difficult to find a Kansas City flower delivery service that also has the personal touch of a local florist. At Gladstone Flowers they have successfully combined the two. While they have a number of discounts that can only be found online they also have been in operation for over five decades in the local area. They are now famous in the area for their exotic Ecuadorian flowers they have flown in for special occasions. 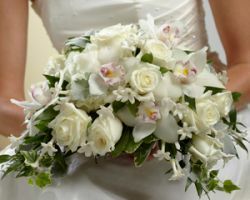 To have true sophistication and grace at your wedding, there is no other choice than Gladstone Flowers.